Canon-Fronsac is a red wine appellation from an area in the east of the Bordeaux wine region, north-west of the town of Libourne near Pomerol and Saint Émilion. The wines offer an affordable, early-drinking alternative to the more expensive wines found in the region. 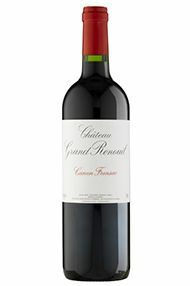 Canon-Fronsac has a rich history reaching back hundreds of years, and until the 19th century it enjoyed much appeal among the French aristocracy. Some of the classic Bordeaux grapes are encountered here Merlot and Cabernet Franc, as well as small planting of Malbec and Cabernet Sauvignon, the latter being little used because it doesn't ripen as well in the cooler climate of the area.